with the utmost respect in detail ! the path that's best for your business. Practice with Purpose. Challenge. Opportunity. Success. 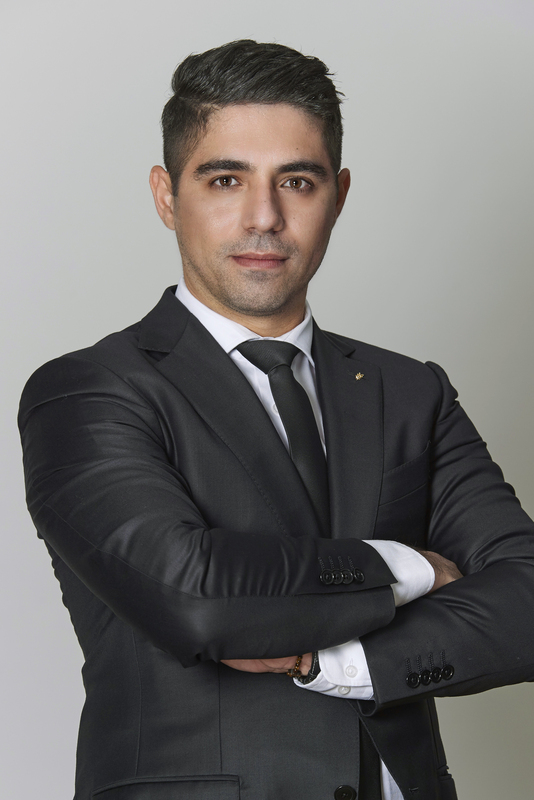 The Law Firm Hadjivangeli & Partners LLC was founded by Costas E. Hadjivangeli with headquarters in Nicosia, Cyprus. The firm is regarded as one of the fastest-growing international business law firms in Cyprus. With a vast spectrum of practice and view on key industry sectors the Firm deals with all aspects of corporate, business and commercial law at national, European and international levels. With solid reputation for excellence and diligence in the profession, the firm provides dynamic services to its clientele. Our multinational team includes qualified lawyers, legal - tax consultants, administrators and paralegals, all devoted in providing legal advice with proficiency, effectiveness and honesty. Our legal team speaks the following languages: Russian, English, Bulgarian, Greek and French. The Firm’s main focus is to provide quality standard services for all its clients. Constantly committed to excellence in providing legal advice, we endeavor to create long-lasting business and working relationships with all of our customers so we have a better understanding of each one’s affairs, enabling us to offer targeted, clear and concise advice, continuous support and valuable assistance. Our Corporate Department is specialized in numerous commercial transactions, advising local and international clients on both corporate and commercial matters. Our associate is a leading provider of professional business services in Cyprus specializing in Audit, Tax, Accounting and Advisory services. Liaising with banks and providing assistance for the opening of corporate and personal bank account/s, providing support to signatories to manage transactions such as bank transfers. Intellectual Property Rights, trademark watching and infringement services, trade names, registration and renewal of trademarks, patents and designs. Tax planning is the base of an efficient and successful business development and an important step in setting-up a business. We provide advice and negotiations on the terms of acquisitions, sales, transfers or financing to disputes involving commercial and residential property. Our law firm is accumulated of experienced litigation lawyers who assist and advise clients before the Courts of Cyprus at all levels. Our advice and assistance is sought on all types of maritime matters. Vast experience in citizenship applications, employment permits, permanent residence permits, immigration permits, visas and migration procedures. As an escrow agent we have the duty to properly account for the escrow funds and ensure that usage of funds is explicitly for the purpose intended. Permission for investment activities in Cyprus is necessary for any company that plans to develop its business in the EU. We offer ongoing administration of companies and deal with their day-to-day procedures no matter of the magnitude of the company. Our legal team has extensive experience in family disputes concerning nationals from different countries residing in Cyprus and complex issues in relation to jurisdiction and separation of the assets. Each owner of real estate in Cyprus can apply for a residence permit. This is a very simple procedure, and takes about 2 months from the date of filing. Our team effectively deals with all employment matters which may arise, both at national level, as well as on a European level. Do you Need legal assistance? Feel Free to Contact Us! We needed a few contracts developed for our startup business. We spoke with a few business lawyers before settling with C. Hadjivangeli & Partners LLC. They took us step by step through the process of development of the different contracts, and the risks associated with various clauses. They were thorough and swift. I am extremely satisfied! An excellent law firm that few others know about—or don’t know enough about. The capabilities and unique strengths of this law firm are underrated or underestimated in the marketplace. This law firm earn a special place in the hearts of large clients…clients see them as special. The attorneys at Hadjivangeli & Partners LLC with whom I have worked are distinguished not only by their superior legal skills, but also by their highest level of personal integrity and complete dedication to client service. I have been very pleased to recommend them without hesitation to my professional colleagues and, indeed, my closest family and friends. C. Hadjivangeli & Partners LLC Associates provided outstanding service drafting the licensing agreement for us. Intellectual property is the essential foundation for any enterprise debuting new technology, so protection of the IP is critical to safeguard its most important asset.